Morgan Guo, Intellectual Property Manager Life Sciences, works with University of Calgary researchers to manage intellectual property and commercialization of new discoveries in agricultural and life sciences. 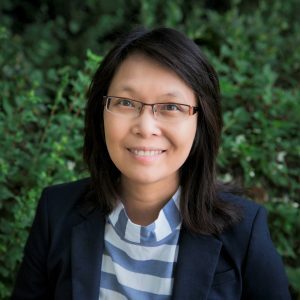 Her previous experience includes working as the Technology Transfer Manager at the University of Lethbridge on research partnership building, early stage technology development and commercialization. She has provided consulting and training services to various small businesses in Southern Alberta on business plan and intellectual property strategy. In addition, Morgan also worked for Monsanto as breeding scientist and logistics specialist. Morgan received her PhD in Physiological and Molecular Biology from the University of Illinois, Urbana Champaign and was a Postdoctoral Fellow at the Cold Spring Harbor Laboratory.